What is Run 4 a Cause? RUN 4 a CAUSE is an inclusive, free 5km running event that brings awareness around the important issues that affect all of us in our daily lives in a fun, active way! This project supports all types of charities, big and local grassroots, by providing them promotion and awareness. It also celebrates the countless athletes and non-athletes who spend so much time and effort supporting what’s important to them. Race report via Eric Collard’s blog and written by Jenny Kaser. The idea started as a pilot project with lululemon Rideau Store back in the Summer of 2012. Running for a cause is one of the main reasons why I run and I love sharing this passion with others. I love uniting walkers and runners of various levels, from beginners to elites, and also non-runners and showing them all the good that can come from integrating your passions with a cause or from adding fitness to your charity involvement. This event also includes the chance to promote fitness to individuals that need that extra motivation to get started in running. When we find a cause that we are passionate about, we realize that we can find the energy to achieve anything! Would love to make this event a reality across Canada. 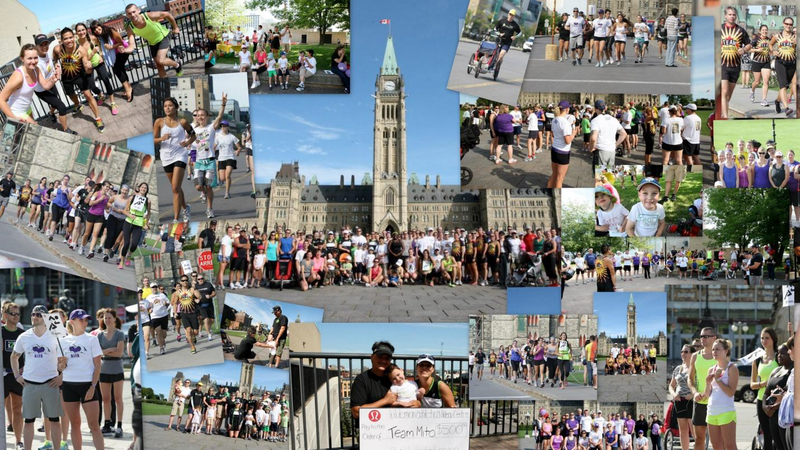 Having hundreds if not thousands of Canadians uniting together to run/walk on the same day at the same time for an initiative I’m passionate about truly warms my heart. How would we touch our communities in numbers? Looking for your input and assistance! Do you volunteer for a charity group? Do you know of any amazing grassroots charities that are just getting started in their local community and are looking for support? Do you know of any social run clubs, associations, partners that would be a good match to join the Run 4 a Cause Project? Do you love to run and are passionate about supporting your local community? If so, please get in touch with me via email at joe_rios@hotmail.com or Twitter @THRIVEwithjoe. Follow my blog to get regular updates! Help spread the word by using #RUN4AC on twitter and share this blog post on your social media networks. I really enjoyed this event last year and I am looking forward to doing it again this year. INCREDIBLE! Absolutely incredible Run 4 A Cause Event today! Over 500 people, loads of sharing and a wonderful way to meet like minded people! Thank you Joe for organizing this event. Kudos to Zoom Photo, Vega, and Lulu Lemon for supporting you / this worthwhile event! See you next year!! Pingback: Race report: Run 4 a Cause by Jenny Kaser » EC inc.